Another notable characteristic is the elongated bill, resembling that of the swordfish and other marlins. They are therefore described as billfish in sport fishing circles. The term billfish is applied to a number of different large, predatory fish characterised by their large size (swordfish can be over 4 metres long) and their long, sword-like bill. Billfish include the sailfish and marlin, which make up the family Istiophoridae, and the swordfish, sole member of the family Xiphiidae. They are important apex predators feeding on a wide variety of smaller fish and cephalopods. While billfish are most common in tropical and subtropical waters, swordfish in particular are sometimes found in temperate waters as well. 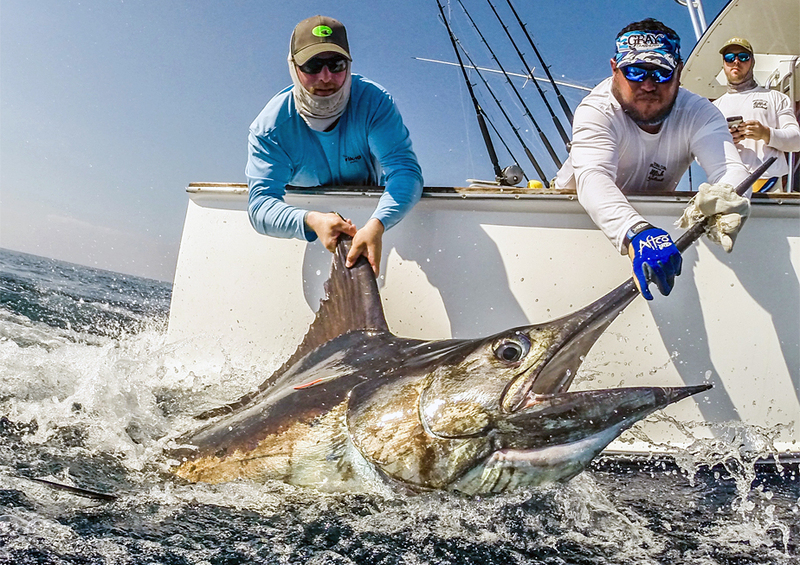 Billfish are characterized by a long spearlike or swordlike upper jaw or beak that may be used to stun prey during feeding; although this bill has been employed in apparent aggression to spear objects, including boats, it is not deliberately used to spear prey. These species are pelagic, migratory, and found in all oceans. 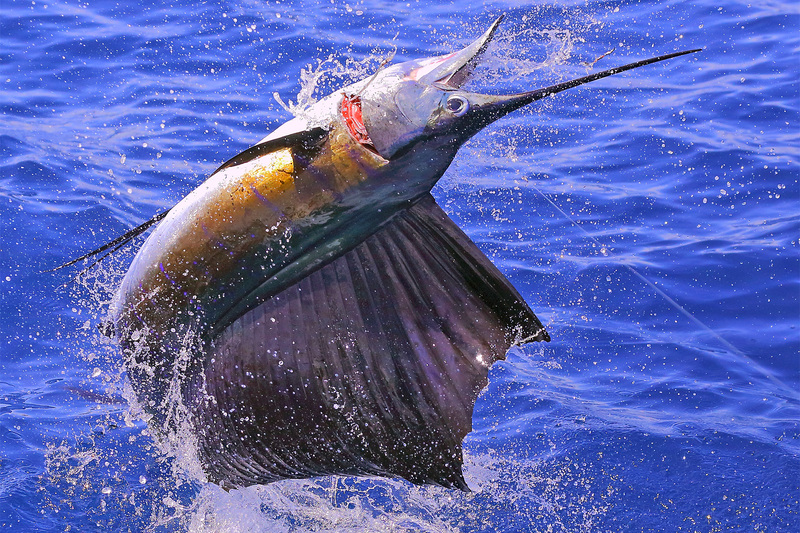 Sailfish are highly prized game fish and are known for their incredible jumps. They can appear in a startling array of colors, from subdued browns and grays to vibrant purples and even silver. Their body colors are often highlighted by stripes of iridescent blue and silver dots. Sailfish can change their colors almost instantly; a change controlled by their nervous system. The sailfish can rapidly turn its body light blue with yellowish stripes when excited, confusing its prey and making capture easier, while signalling its intentions to fellow sailfish. This area is said to hold one of highest concentrations of sailfish anywhere, and it is easily accessible. 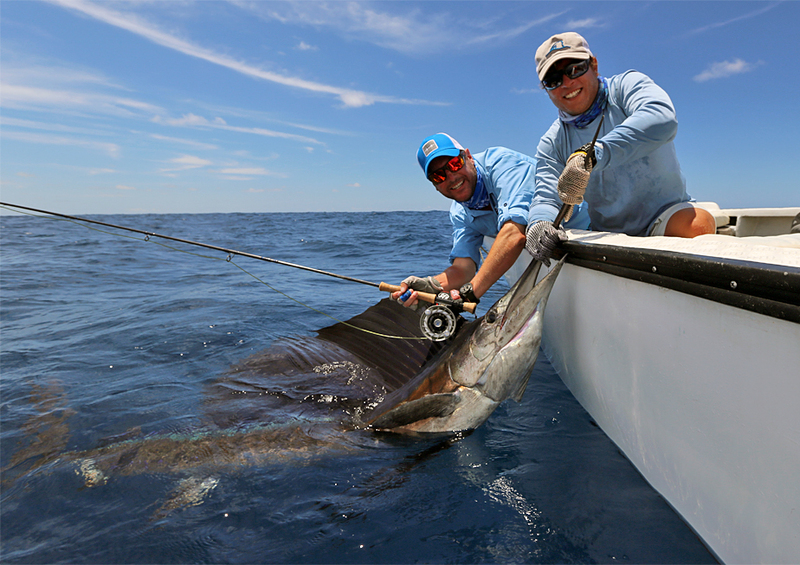 With numbers like 57 releases with a fly rod from one boat in ONE DAY, one can see why chances are greater of hooking billfish here on a fly than any other place on earth.